1. 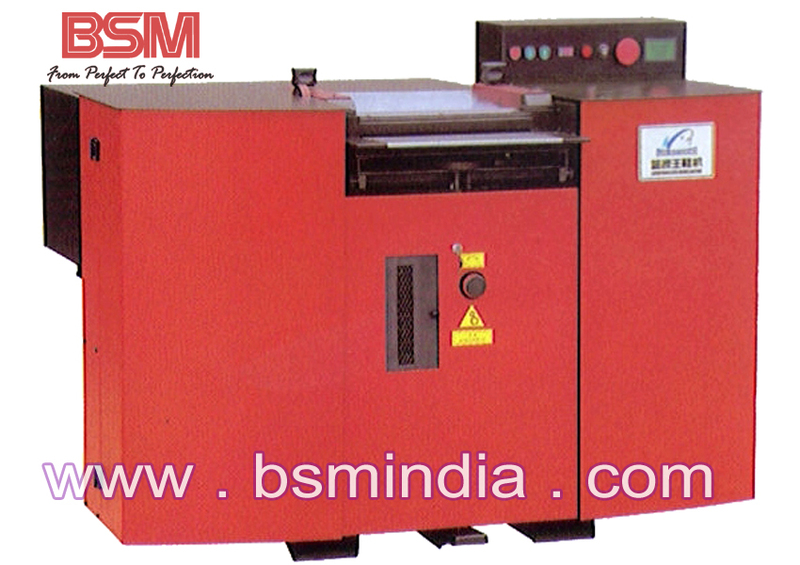 The machine is applicable to splitting and layering of nonmetal materials such as genuine leather, artificial leather etc. 2. The microcomputer controlled displaying system can correctly display various parameters under the working status at any time. 3. The feeding speed is adjusted by the step less frequency converter with wide range so as to achieve the ideal splitting quality and guarantee even and flat splitting thickness. 4. The splitting thickness is adjustable and the thickness is digitally displayed, which is accurate and convenient. 5. 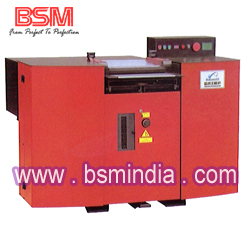 It is allocated with automatic knife grinding mechanism. When the width of the band knife is less than the value as required, the automatic display and alarm will be made. 6. The motor can't be started when any of the doors and covers is not fully closed or the material bucket is too full. 7. The knife grinding powder and machining waste can be absorbed by dust collection system so as to improve the working environment.